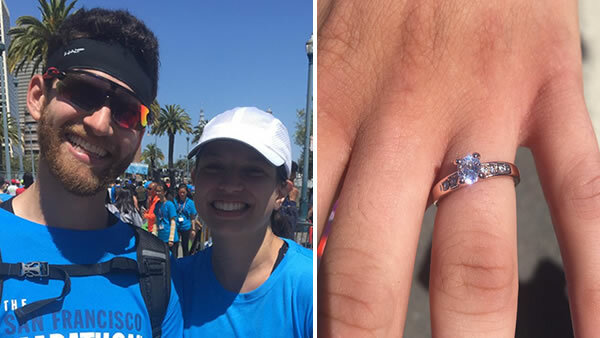 SAN FRANCISCO -- The finish line of the San Francisco Marathon may be the last place you'd expect to see a wedding proposal, but one runner said why not? Alex Kermani popped the question to his girlfriend, Mariza De Souza, shortly after completing the race. "I was so surprised," she said. "I was so surprised. I mean, obviously I was hoping it would happen at some point. But I didn't think it would happen just as we came over the finish line," she said.